The 60-second commercial titled “Brutal” denounces Sarah Palin's support for an aerial wolf killing programme as well as a policy that places bounties on the forelegs of killed wolves. 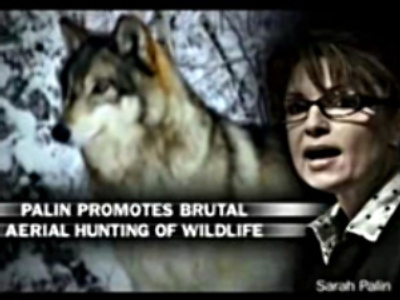 The ad displays dark images of Palin against footage of wolves being hunted down in the snow from low-flying planes. A wolf's carcass is shown tied to the wing strut of a plane. The group's initial spot scored incredibly well among focus groups. 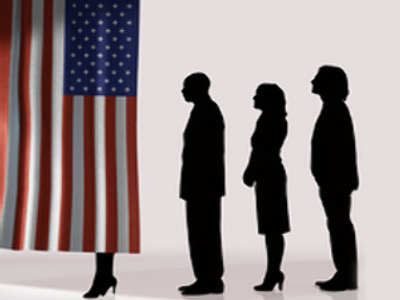 A study of 312 Democrats, Republicans and Independents showed that the ad produced “moderate movement among all parties” in Obama's favour. And now the wildlife group is expanding the reach of the provocative ad. Starting this week, what had been limited to certain markets in Florida, Michigan and Ohio will now air in Colorado, Virginia and Wisconsin. It also will air in Missouri in time for Thursday's vice presidential debate in St. Louis.